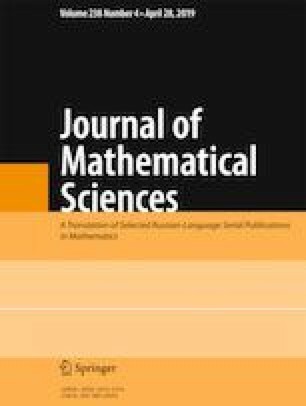 The aim of this paper is to survey properties of Gaussian approximation numbers. We state the basic relations between these numbers and other s-numbers as, e.g., entropy, approximation, or Kolmogorov numbers. Furthermore, we fill a gap and prove new two-sided estimates in the case of operators with values in a K-convex Banach space. In the final section, we apply relations between Gaussian and other s-numbers to the d-dimensional integration operator defined on L2[0, 1]d.
Published in Zapiski Nauchnykh Seminarov POMI, Vol. 457, 2017, pp. 194–210.